Before the main Badminton Horse Trials gets underway with the 1st inspection at 4PM, the Mitsubishi Motors Grassroots Championship has already sprung into action with the Dressage. In true Badminton style the championship is enticing fierce competition from all ages, there are five competitors under 14, and two over 55. A dry but overcast start to the day's proceedings has turned into a rainy morning (albeit to the benefit of the cross country course), but none the less spirits are high over in the grassroots lorry park and stables with a buzz of excitement and mums and other family members running around frantically plaiting, grooming, and polishing. 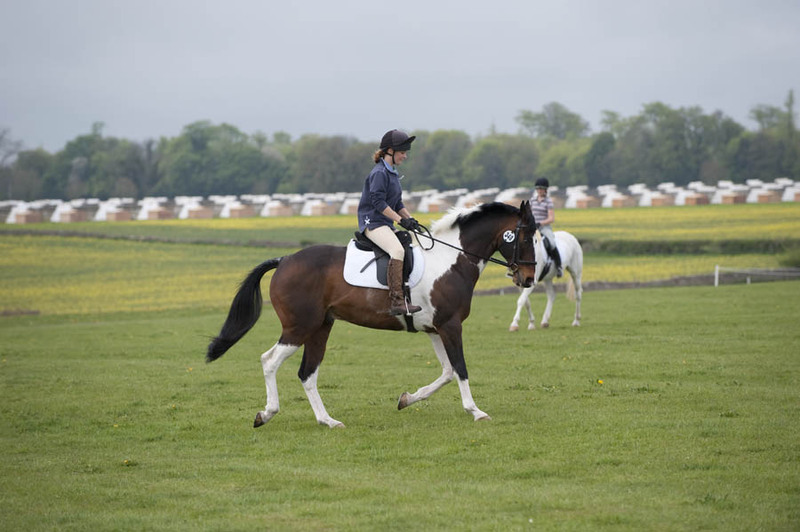 It's been quite refereshing to see such a mixture of horses and ponies competing at Badminton! Later today we'll have more video, photos, and news as the championship unfolds. Hopefully we'll also have a few video diaries too. when will the dressage results be online please? Good Luck Claire, from Team Rollo! !